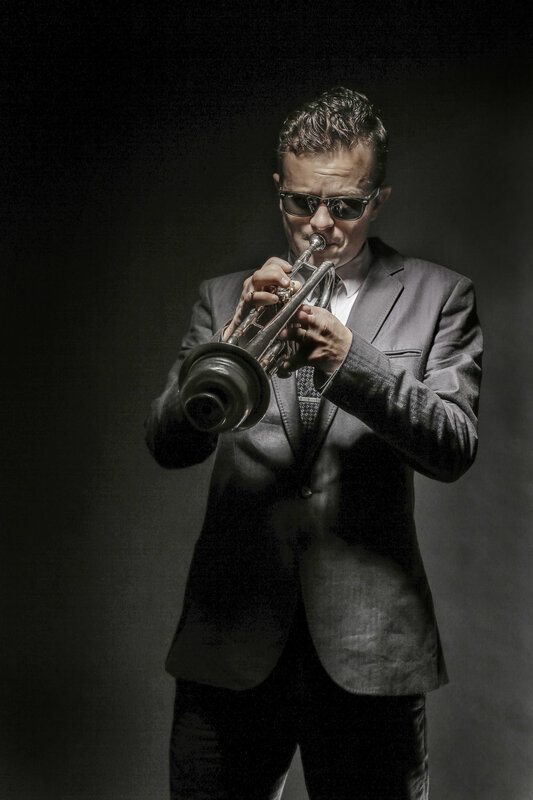 Chetty’s Lullaby brought the tragic downfall of the legendary trumpet player Chet Baker to life and with it the tumultuous Milan jazz scene of the late 1950s. Based on true events, this two-act play narrated the days leading up to Baker’s arrest and imprisonment by Italian authorities on drug charges, leaving his wife Halema to fend for herself in a foreign country and make the most difficult decision of her life. The play’s recreation of this hip era of glamorous decline was completed by live music from Baker’s quartet, American drummer and ex-junkie Gene Victory, Italian pianist Romano Mussolini, son of the deposed dictator, and Milan raconteur Augusto Razetto. Jazz. Heartbreak. Dreams. Drugs. “Chetty’s Lullaby” was the searing recreation of an unforgettable era and its most beautiful, tragic star. Playwright Stephen Delbos: Stephan Delbos is a New England-born writer living in Prague, where he teaches at Anglo-American University and Charles University. His poetry, essays and translations have been published internationally. He is the editor of From a Terrace in Prague: A Prague Poetry Anthology (Litteraria Pragensia, 2011). His collection of visual, music-inspired poems, “Bagatelles for Typewriter,” was exhibited at Prague’s ArtSpace Gallery in May 2012. 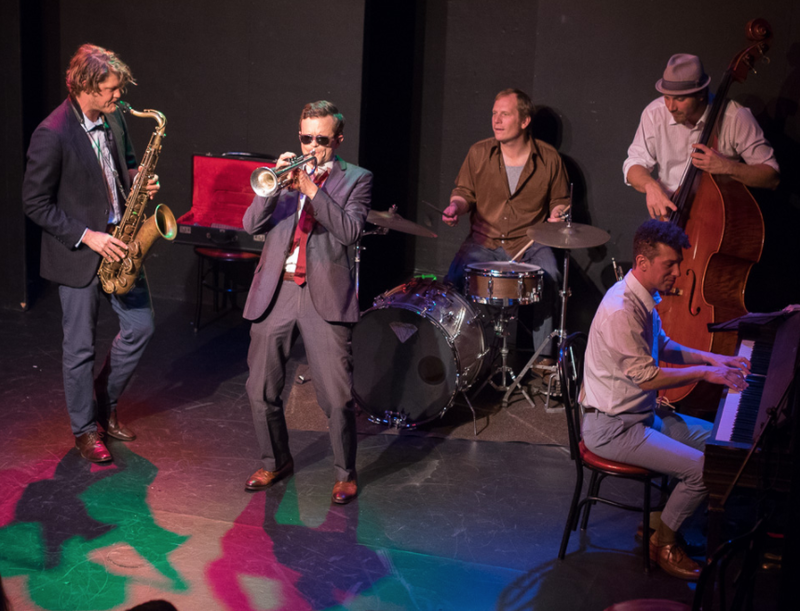 His first full-length play, Chetty’s Lullaby, about the life of trumpet legend Chet Baker, has been produced in San Francisco. His co-translation of The Absolute Gravedigger, by Czech poet Vítězslav Nezval, was awarded the PEN/Heim Translation grant in 2015 and was published by Twisted Spoon Press. Deaf Empire, his play about Czech composer Bedřich Smetana, was produced by the Prague Shakespeare Company in 2017. He is the author of the poetry chapbook In Memory of Fire (Cape Cod Poetry Review, 2016), and a founding editor of B O D Y.
Strung out Chet and Hank have bad blood. Irving Schulman as Mario, owner, Santa Tecla Club in Milano. Early in his career, Chesney (Chet) Henry Baker Jr. was sometimes referred to as “the best jazz trumpet player in the world.” Well, aficionados have debated that title for half a century. But with his movie star looks and seductive singing voice, he was certainly one of the most charismatic performers of his day. In the mid 1950s, Baker was riding high in popularity, but, like too many of his colleagues, he was a junkie and the world did not treat junkies well in those days. By the late 1960s and eary ’70s, when much of an entire generation had experimented with all manner of drugs, a reputation for shooting up might add to a performer’s charismatic appeal, but in the 1950s, the public responded with disgust. By the early 1960s, Baker’s career had taken a dive and his once promising future looked bleak at best. Such falls from grace are the natural stuff of melodrama, and it is no surprise that various playwrights have attempted to dramatize Baker’s story. Stephan Delbos’ “Chetty’s Lullaby” is a straightforward and predictable melodramatic telling that embraces many cliches. But it is lifted enormously by the performance of Philip Watt, an experienced professional actor with the requisite movie star good looks and professional chops as a jazz trumpeter. 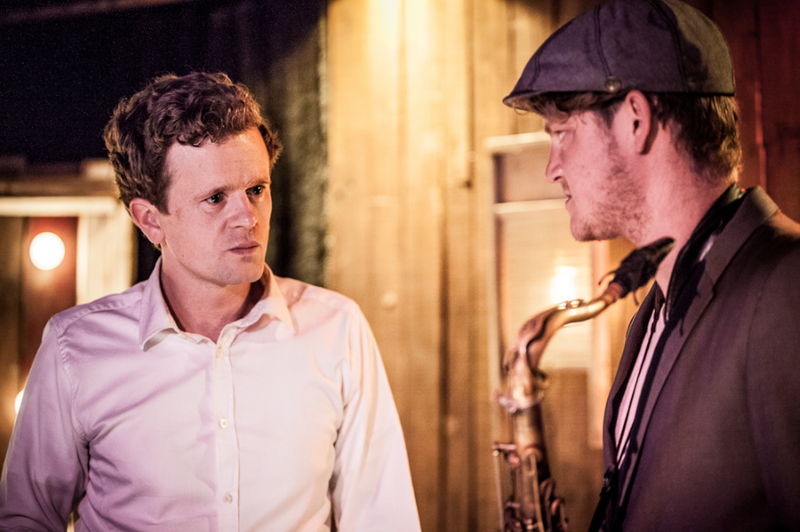 It is Watt’s skilled acting and musicianship which, in places, especially in the second act, transforms this piece into something special.... .
Also impressive are the acting chops of the jazz musicians who accompany him on stage. Each of them has moments of emotional truth that transcend the script, especially Doug Lee as bassist Augusto Rozetti, who struggles with his English and his ambivalent feelings about his junkie friend. The rest of the company deliver more than adequate, straightforward characterizations. 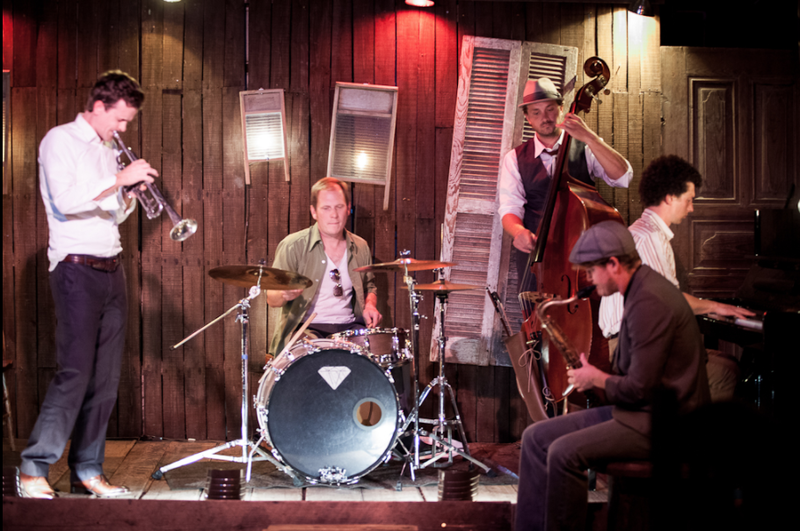 The venue of Viracocha, in the hidden lower level of a furniture store in the Mission, seems an unlikely choice for a play, but it turns out to be perfection as a setting for a jazz club. Audiences will be surprised and delighted by what they discover here. Jazz fans will certainly enjoy this story, the capably performed music, and the overall ambience of the setting. It should be mentioned that Chet Baker, after the period of this play, disappeared from the scene for many years, but did make a spectacular comeback in the 1970s and 1980s before dying tragically in what was possibly a drug deal gone bad. If “Chetty’s Lullaby” moves audiences to rediscover Baker’s later recordings (which are stunningly beautiful), that would be a fine thing.